Love it or hate it, people treat their animals as their children (I’m no exception, I want to squeeze my dogs every time I see them). What better gift for a “pet parent” than a portrait of their little gal/guy? Separate from my regular body of work, I’ve been doing these portraits for a couple years now and each one is as fun as the next. 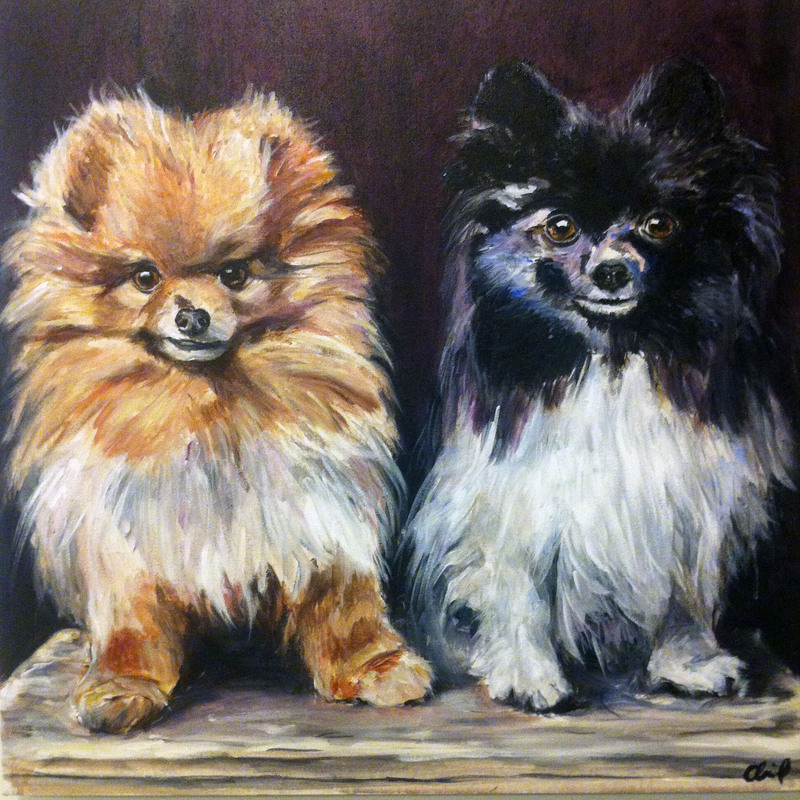 Here is one I finished this morning of two sickeningly cute pomeranians for a friend who is giving the painting to his girlfriend. Next Post Feeling uninspired? You just need some homework!